Today is the 13th installment of The Books that Read Us series and features my friend Nicole Morgan. Please enjoy her post below on how two different books impacted her life. I was blessed to attend a church that had a large library. A team of dedicated volunteers worked the desk on Sundays and Wednesdays and I was there twice a week – cycling through the vast collection of Christian Fiction. When Jennifer asked me if I wanted to write about which books impacted my spiritual journey, my first thought was most definitely not the authors that I was introduced to in this church library - Janette Oke, Lori Wick, Robin Jones Gunn, Francine Rivers, Judith Pella - - but when I sat down to write they were the names that came to mind. For better and for worse, the way they told stories about people of faith influenced my life. If you’re unfamiliar with the Christian-Fiction genre that was popular in the 90s, let me give you a brief synopsis. Most of them were loosely “historical” fiction, though a couple were contemporary. Girl travels to unknown land or situation and meets slightly rebellious boy. Boy finds Jesus, then truly sees the girl, and then there’s happily ever after. You may imagine how a steady diet of these books as a teenager gave me one or two unrealistic expectations for life as an adult. When I was in my early twenties I stopped by the public library and aimlessly walked through the stacks, searching for something interesting. I stopped at Lauren Winner’s Girl Meets God. Winner is exactly the first person I thought of when Jennifer asked me to write for this blog series, but Winner would not have impacted me had I not first had my eyes opened by Rivers to the hypocrisy of our desire for an unblemished image. When I checked out Winner’s book that day, I was in the midst of my own “crisis of faith.” I still believed in God, I think mostly because I didn’t know how not to. But I wasn’t sure if I trusted God. I wasn’t sure if the place I showed up every week to worship, the place with the library full of Christian novels, really embraced the confusing, full-of-questions, broken faith that had become mine. One of the passages in Winner’s book that really stuck out to me was a scene in which she describes spending Christmas alone, after a cancelled trip with her boyfriend, surrounded by images of icons of Jesus. She says to God in this moment that she knows that Jesus is enough for a lonely Christmas, that he really is truly enough, she just doesn’t want him to have to always be enough. I was that kind of wounded when I read Winner’s book. Struggling with the end of a relationship that I thought was going to last. Struggling with figuring out what God was up to. I had truly believed God for that relationship, and I walked out of it with a wounded heart and a wounded faith. So many people told me that my faith in God for the relationship had just been wrong, that I had been mistaken. I felt like that wounded Christian, being shot by those who wanted me to only speak of the happy endings and not acknowledge the pain of having faith and not seeing the result you expected. Winner’s story and words offered me a life-line. Here was another person who wrestled with her faith. Who said things the heroines of the novels I read as a teenager would have never said. Here was a real-life non-fiction woman who saw faith as a messy place for wounded people. While River’s words stuck with me for years without really knowing what they meant for my life, it was Winner’s book that gave me the power and the freedom to act on them. It was Winner’s words that made it ok for me to struggle with my faith, and by extension, for others to struggle with their faith – especially when wounded. Winner’s words were the beginning of a new exploration for me – one that eventually taught me about other expressions of Christianity that served the poor and needy and honored questions and doubts and lived faith in authentic, vulnerable ways. This was the beginning step for me to learn what it meant for to be one who storms the figurative board rooms of power and speaks on behalf of other wounded people in this world, to call out those ideas about our faith that would rather preserve an image than heal the wounds of the injured. 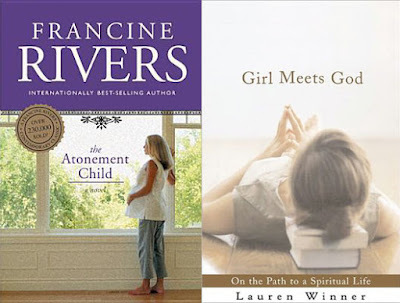 It’s a never ending learning process to humbly live into this, but it’s a desire of my heart birthed in me through a Christian novel, and then a memoir: books that changed me. Nicole Morgan spent most of her high school weekends locked in her room with a book. She tries to be a little more social now. Nicole utilizes both her English and Theology degrees by working as a freelance editor specializing in theological nonfiction. 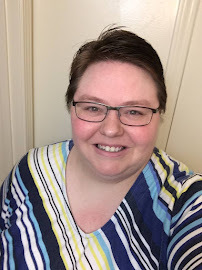 She is passionate about body acceptance, loving our neighbors, and being her nieces and nephew's favorite cool aunt. She blogs occasionally at jnicolemorgan.com and tweets a little more regularly @jnicolemorgan.